Who wouldn't love to wake up to these? Heat oven to 400F. Get out 1 egg to warm to room temperature. Butter Muffin tin. In large bowl: whisk egg until lightly beaten. Whisk in 1/2 cup packed brown sugar, whisking until thick and smooth, about 2 minutes. (This is a very important step. 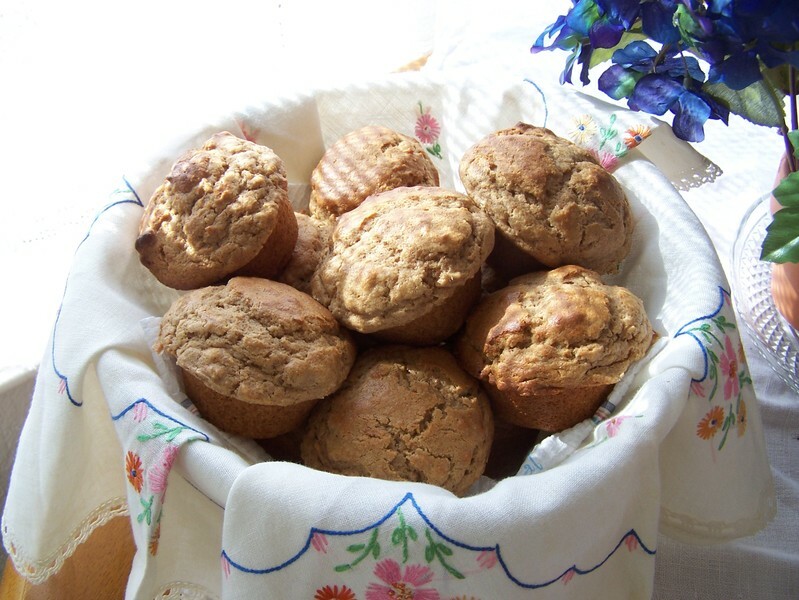 It really aerates the batter making very light, melt-in-your-mouth muffins.) Whisk in 1/2 cup peanut butter until smooth. Whisk in 1 1/4 cups milk, 5 T. melted butter, 1 t. vanilla. With wooden spoon, gently stir in flour mixture, being careful not to overmix. Spoon into buttered muffin tin and bake for 20 minutes. Allow the muffins to cool for 5-10 minutes before removing them from the tin.